A long-term investment in building competitive manufacturing skills, supported by a culture change programme which rewards productivity and innovation, is helping Auckland-based industrial coatings manufacturer PPG New Zealand save thousands of dollars and lift employee engagement, safety and environmental performance. 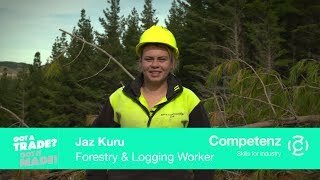 “In the past three years PPG New Zealand employees have completed around 200 competitive manufacturing qualifications, from level 2 to the level 5 diploma – and we’re seeing results across our KPIs,” says Lean Manager William Bratton who designed the training with industry training organisation Competenz. Since PPG introduced the training in 2012, the company has saved hundreds of thousands of dollars a year from its bottom line. Productivity, measured as litres of coating produced per person hour, has risen 20%. Cycle times for powder manufacturing and paint are down 14% and 10% respectively. Training and resulting successes like these, coupled with productivity bonuses and an employee recognition programme, have seen employee engagement rise over 20 points to the highest level in PPG’s Asia Pacific division. The housekeeping disciplines competitive manufacturing fosters have contributed to the company’s strong environmental and safety performance, helping it win two global awards. William says competitive manufacturing is a mind-set. PPG’s competitive manufacturing journey started with a simple goal: to be more competitive – by investing in its people. “We knew training was key and that we needed to train our whole workforce, not just a few people,” says William. The right support was crucial to getting the best from the training. PPG has a diverse workforce, and English is a second language for many employees. For many employees, this training is the first time they have undertaken formal education for many years, and an opportunity that is encouraging them to continue to build their skills. PPG New Zealand is part of a global company that produces industrial, protective, refinish, architectural and marine coatings. PPG coatings cover buildings, cars and factories the length of the country.